Welcome to your stunning home at 1725 W 3rd St. This Cozy & Gorgeous Home Offers Custom Upgrades Along With an Luxurious Appeal! 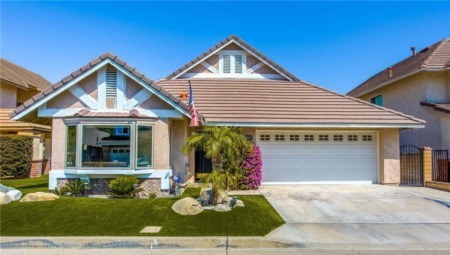 This Home Boasts 1,311 Sq Ft of Living Space, 3 Spacious Bedrooms & 1.5 Baths. The Open Concept Space is Anchored by The Living Room with Large Windows & Custom Curtains that brings in Fresh Natural Light to the Living Room. Opulent Master Bedroom with plenty of Closet space and Master Bath with Large Vanity Countertop & Stand-Up Shower. As you make your way out from the Master's Bedroom, Offers a Large Private & Covered Balcony Room for Relaxation. The 1 Car Garage has Direct Access to the kitchen, Ceiling Fans with Lights Throughout, Beautifully Laid Floorings, Baseboards, In Home Laundry Room. The Front Fenced and Covered L Shape Patio features an Abundant of Room for Entertainment. Minutes away from Schools, Parks, Shopping & Dining centers and Easy Freeway Access... Look No Further, This is the One You've Been Looking For! SchoolsClick map icons below to view information for schools near 1725 W 3rd Street #1 Santa Ana, CA 92703. Listing provided courtesy of Brian Bucsit, Keller Williams Realty- Norco.